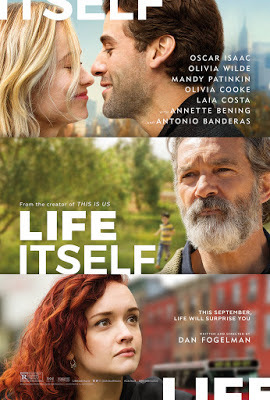 Enter For A Chance To Win Pass To See LIFE ITSELF on September 19th at 7:30 PM in Sacramento. As a young New York couple goes from college romance to marriage and the birth of their first child, the unexpected twists of their journey create reverberations that echo over continents and through lifetimes in LIFE ITSELF. Director and writer Dan Fogelman (“This Is Us”) examines the perils and rewards of everyday life in a multigenerational saga featuring an international ensemble including Oscar Isaac, Olivia Wilde, Antonio Banderas, Annette Bening, Olivia Cooke, Sergio Peris- Mencheta, Laia Costa, Alex Monner and Mandy Patinkin.